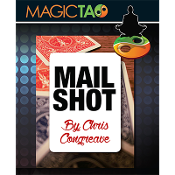 During a card routine of your choice you show an envelope that came with a mail shot you received in the post. Inside is a free sample of a playing card. Unbelievably, this is the spectators signed (or thought of) card! No palming required. Specially designed and printed gimmick supplied for this routine!